Little is known about the mechanisms of action that link perinatal risk and the development of aggressive behavior. The aim of this study was to examine whether perinatal risk and parenting interacted to specifically predict reactive aggression, as opposed to general aggressive behavior, and to examine cortisol reactivity as a mediator of this developmental risk process. 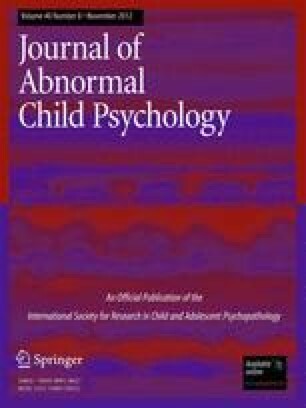 In a community sample of 99 elementary school-aged children, prenatal risk was measured by a count of minor physical anomalies (MPAs), reactive aggression was measured by laboratory observations of aggression in response to provocation, and general aggression was measured by parent report. Cortisol reactivity was not found to mediate the association between MPAs and reactive aggression or general aggression. However, MPAs were found to interact with parenting behaviors to predict reactive aggression and general aggression, as well as cortisol reactivity. Specifically, as the deficits in parenting increased, MPAs became more strongly and positively associated with reactive aggressive and general aggressive outcomes. Similarly, in cases of poor parenting behaviors, MPAs were positively associated with higher cortisol reactivity. Implications for theory and prevention are discussed. This research was supported by the Emory University Research Council and the Society for the Psychological Study of Social Issues. The authors sincerely thank the families that participated in this research. We would also like to thank the boys and girls who served as video-taped opponents for the video game task. We are grateful to Dr. Amanda Alden and Jamila Cunninham, M.A., for their assistance in data collection. All authors contributed to the development of this manuscript. Soper, D. (2006). Copyrighted software program accessible at http://www.danielsoper.com/Interaction/default.aspx .